On May 13, prof. Tom R. Tyler (Yale Law School) will hold a lecture on "Citizen trust and the legitimacy of democratic governance". Recent evidence of declining trust and confidence in government within the population of the United States and the parallel rise of a more contentious and polarized political environment has drawn the attention of both scholars and policy analysts to the need for a better understanding of the relationship between citizen trust, government legitimacy and democratic viability. 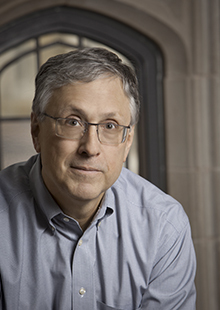 Drawing upon the findings of social science research, prof. Tyler argues for the viability and benefits of consensual systems of government based upon popular legitimacy. He then reviews evidence about what factors sustain or undermine trust and confidence. Finally, prof. Tyler will discuss the similarities and differences between problems of trust and confidence in the America and in Europe. This lecture is an initiative of the Profile Area "Political Legitimacy" at Leiden University, and will be hosted by prof. Wim Voermans (Constitutional and Administrative Law, Leiden Law School). The event is freely and publicly accessible. For questions, please contact Geerten Waling. This lecture is organized by the Leiden Research Profile Area "Political Legitimacy"